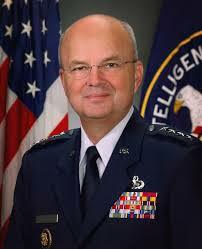 Former CIA director, Michael Hayden, rips the Obama administration's handling of terrorism in today's Washington Post. It is a comprehensive overview of the missteps made by the executive branch in the year since Obama's inauguration. This comes less than two weeks after Dennis Blair, the director of national intelligence was taken to the woodshed for admitting that officials had botched the handling of Umar Farouk Abdulmutallab, who is accused of trying to bring down a Detroit-bound jet carrying 290 passengers and crew. When questioning its detainees, the CIA routinely turns the information provided over to its experts for verification and recommendations for follow-up. The responses of these experts -- "Press him more on this, he knows the details" or "First time we've heard that" -- helps set up more detailed questioning. None of that happened in Detroit. In fact, we ensured that it wouldn't. After the first session, the FBI Mirandized Abdulmutallab and -- to preserve a potential prosecution -- sent in a "clean team" of agents who could have no knowledge of what Abdulmutallab had provided before he was given his constitutional warnings. As has been widely reported, Abdulmutallab then exercised his right to remain silent. General Hayden concludes by pointing out the perverse priorities of the Obama administration. Actually, Blair suggested that the High Value Detainee Interrogation Group (HIG), announced by the administration in August, should have been called in. A government spokesman later pointed out that the group does not yet exist. There's a final oddity. In August, the government unveiled the HIG for questioning al-Qaeda and announced that the FBI would begin questioning CIA officers about the alleged abuses in the 2004 inspector general's report. They are apparently still getting organized for the al-Qaeda interrogations. But the interrogations of CIA personnel are well underway.